I absolutely love Europe! Every time I go, I’m amazed by the things I see and experience. The historic sites, the cathedrals, the art – there’s something breathtaking found everywhere you look. 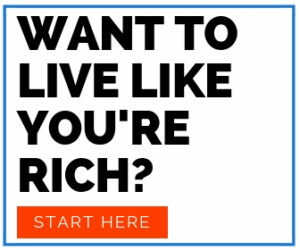 And, of course, I love to do it all on a budget! By no means have I visited the entire continent. At this point, Holly and I have only been there a handful of times. However, we’ve already seen some of most important and popular attractions that Europe has to offer. We’ve also had the luxury of visiting some sleepy little corners of Europe, which are remarkable as well. 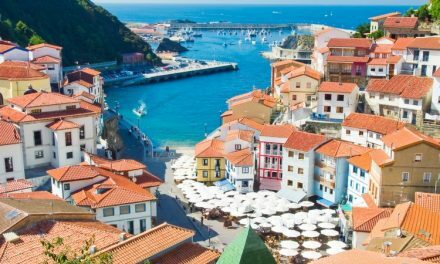 So frugal fanatics, I’ve decided to jot down this guide to my favorite budget-friendly places to visit in Europe. As we visit more spots, I’ll continue to update this list (as I’ve done a few times already). Without further ado, I give you my list of the “12 Best Places to Visit in Europe (On a Budget)!” And don’t forget: If you need help finding ways to save for any of these trips, check out our Free Travel Advice page! The Roman Forum is probably the most incredible place I’ve ever been. Just walking into this archaeological site sends shivers down my spine. It’s like stepping onto a page right out of Roman history…because you are. The Forum was where all the Ancient Romans came to see and be seen. Not only did they live and work here; it’s filled will all kinds of temples, houses, and ruins. My favorite view of the Forum is from the top of Palatine Hill. On the northwest corner of the hill, there’s an observation area where you can check out all of Ancient Rome. Holly and I went up there twice, just because it was so freakin’ awesome! We stayed up there for probably an hour, imagining what it must have been like to watch the victorious Caesars ride their chariots down the Via Sacra (Sacred Road) over 2,000 years ago. 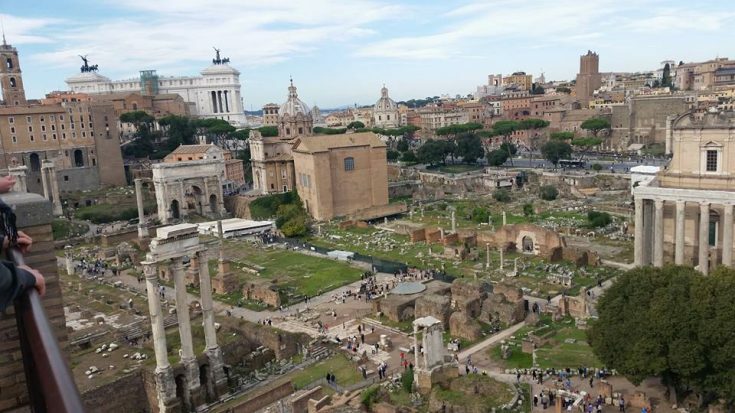 This spot also provides a great view of the Curia (where the Roman Senate met), the Rostrum (the stage where politicians would give speeches to the crowds), and you can even get a great view of the Colosseum. 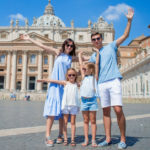 Best Way to Save: If you’re headed to Rome, be sure to get the Omnia Vatican & Rome Pass. This provides free entry to 2 sites in Rome as well as a selection of sites at the Vatican. 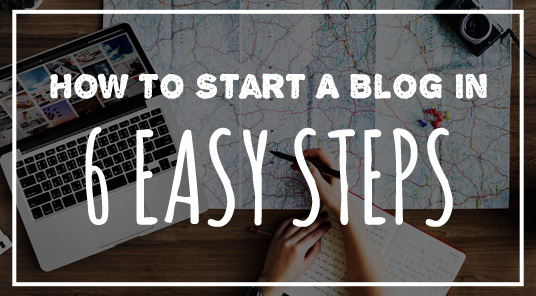 Most importantly, you’ll get “Skip the Line” access which is SUPER important. Even when we went during off-peak, lines at the Colosseum were several hours long. Plan to visit the Colosseum and the Roman Forum on the same day, and it counts as only one entry on the card! You can read our complete review of the pass here. Holly contemplating the ruins near the Temple of Zeus at Olympia. Let me preface this by saying I’m a huge fan of the Olympic Games. So yeah, standing in the place where it all began is super freakin’ cool. That said, there is so much more to this place than just the games. 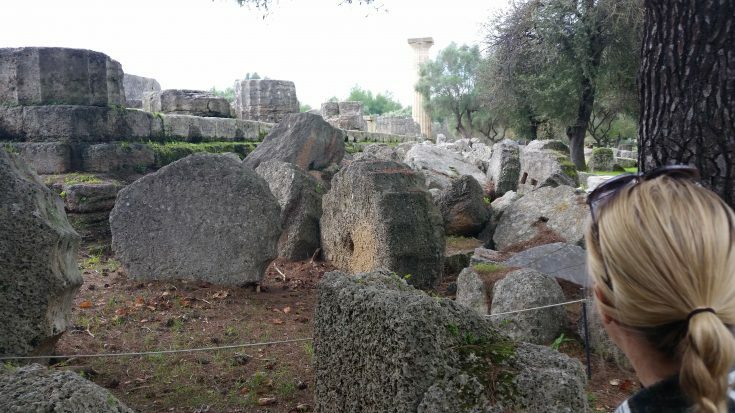 Olympia was a sacred place for the Ancient Greeks, and it still feels very sacred today. The archaeological site is huge, and it’s basically located in the middle of nowhere. The setting is serene and peaceful, with nothing around you besides the quiet stillness of nature… and incredible ancient ruins from over 2,500 years ago! Wandering through the site, I could practically picture this place filled with Ancient Greeks attending the games. A visit to the site’s indoor museum, one of Holly’s favorite places in the world, provides even more perspective – allowing you to imagine the site as it must have looked thousands of years ago. And of course, one of the highlights for me was walking into the ancient stadium for the first time. The start/finish line is still there, so be sure to grab a picture and race down the track. Just don’t cheat or a statue of you will greet competitors on their way into the stadium, chiseling your shame in stone for all eternity! Best Way to Save: Entrance to all the sites at Olympia costs about €12, so getting in is relatively cheap already. If you want to save even more, visiting November through March can save you about 50% on ticket prices. The extremely scenic drive from Athens is about 3.5 hours long, so renting a car is definitely an option. While you’re there, be sure to check out the rest of the beautiful Peloponnesian Peninsula too! Holly outside the Tower of London. You can just barely see the top of the “White Tower” on the right side of the photo. I’m a sucker for Tudor history. 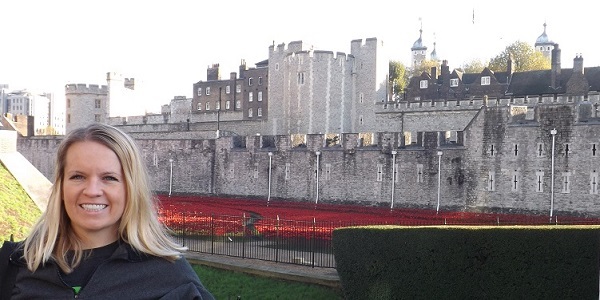 The Tower of London has tons of that…and so much more. The Tower of London is one the coolest places I’ve ever been, and it’s definitely one of the best places to visit in Europe. Most of you probably know that King Henry VIII beheaded two of his queens here. (Romantic, right?) He also used the Tower as a prison where he held and tortured famous political prisoners like Sir Thomas More and Cardinal John Fisher. But, the Tower existed long before the Tudor reign began. The original “White Tower” was built around 1070 A.D. and was meant to intimidate the new king’s subjects in London. In addition to its grisly past, it’s also called home by several reigning monarchs. Today, the castle acts as a museum where you can visit several exhibits, including the Queen’s Crown Jewels. This is one place I’ll come back to again and again! Best Way to Save: My favorite way to save in London is by using the London Pass. You get access to tons of attractions at discounted rates AND you’ll gain “Fast Track Entry” at popular attractions like the Tower. Additionally, you can take a tour of the Tower with one of the famous Beefeaters, where you’ll see areas of the castle (such as the grave of Anne Boleyn) not accessible to those not on the tour. Save money by reading our Complete London Pass Review here! Holly overlooking the bay from the observation deck at the Gardens of Augustus. The Gardens of Augustus in Capri, Italy is the most beautiful place I’ve seen in the entire world. That’s saying something, especially for somebody who loves beaches. Capri is a tiny little island located off the coast from Naples. The island has two towns: Capri and Anacapri, located about 1,000 straight above. Famous for its Blue Grotto, if you have to make a choice, I’d visit the Gardens of Augustus instead. The gardens themselves are fine, but what you really go there for is the view. From the observation deck, there’s a stunning view of the bay where billionaires dock their yachts when they come to play. You’ll also see some incredible cliffs complete with winding roads that scale them. They look so ridiculous you’ll hardly believe they’re real. Seriously, don’t miss this! Best Way to Save: The entry fee for the park is just 1 euro, so the park itself is cheap. To get there, hop on a short boat from either Naples, Sorrento, or the Amalfi Coast. Prices range from about €9-€22. Use one the best travel cards to earn points and book a room on the coast, or slap down some cash to stay on the island instead. A view from below the Temple of Apollo at Delphi. Beautiful mountain views? Check. Place of historical significance? Check. Incredible ancient ruins? Check, check, check! 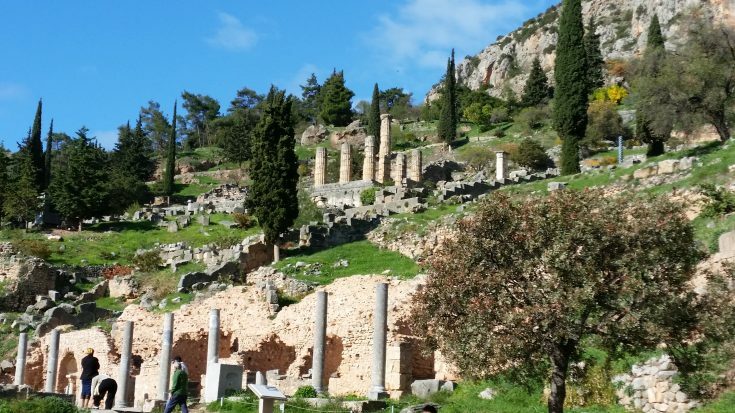 Visiting Delphi, it’s easy to see why the Ancient Greeks considered this spot to be the “center of the Earth” – both physically and politically. 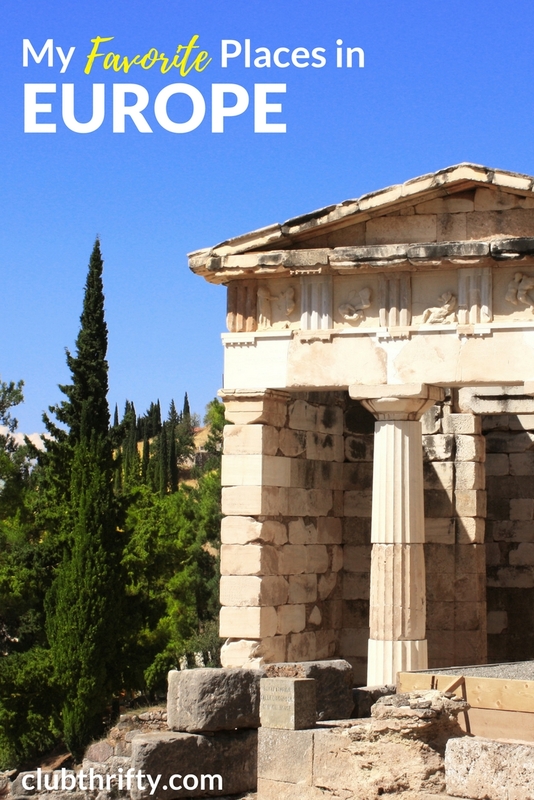 Delphi was home to the Oracle of Apollo, an ancient religious leader thought to communicate with the gods. 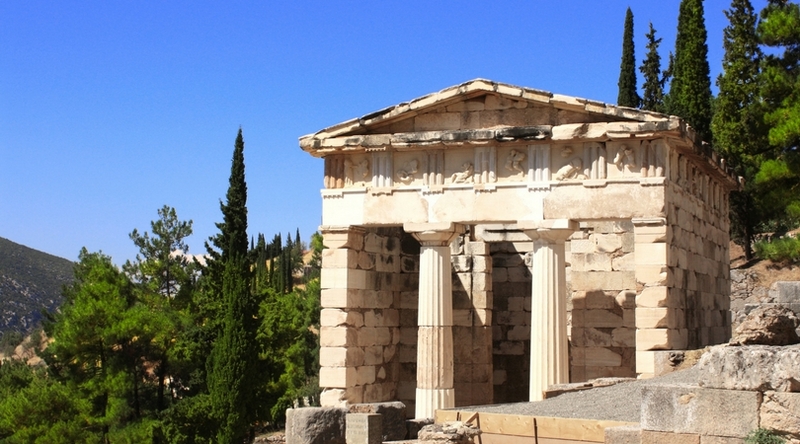 Political leaders throughout the ancient world came to Delphi to seek predictions and advice. After completing some lengthy rituals (and probably breathing in some seriously intoxicating fumes), the Oracle would present her cryptic advice. City-states from around the world built “treasuries” here to hold their precious offerings to the gods, and some of these treasuries still stand today. These buildings also served as houses of diplomacy, similar to what we’d recognize as embassies today. Personally, I loved the entire archaeological site. Be sure to check out the on-site museum, as well. Best Way to Save: Generally speaking, Greece is one of the cheapest places to visit in Europe right now. Like Olympia, tickets to Delphi are normally about €12, while entrance during the off-season is half priced. Again, renting a car from Athens could save you even more. It takes just a little over 2 hours to drive there, so you can do Delphi in a day… or, find a cheap hotel and stay the night! I’m a sucker for bookstores. I also love old books. 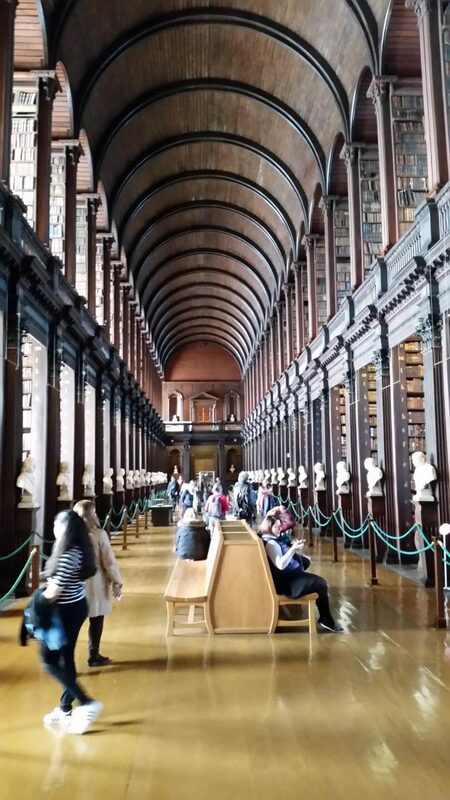 So, of course, The Long Room at Dublin’s Trinity College took my breath away! Seriously, The Long Room (Trinity’s Old Library) is my favorite single room or all time. I was immediately struck by the library’s incredible ceilings, followed quickly by the smell of old books… like really old books! The room was built in the early 1700s and holds approximately 200,000 of the library’s oldest books. If you’re a movie fan, you may recognize the room as the inspiration for libraries in your favorite movies – like Harry Potter and Star Wars. It’s also home to one of the last remaining original copies of the 1916 Proclamation of the Irish Republic – Ireland’s Declaration of Independence, if you will. The library shelves are graced by the busts of famous Irishmen throughout history, which also provides a certain charm. I loved seeing the Brian Boru Harp, famous for being the oldest medieval harp in Ireland and for serving as the model for the official Coat of Arms of the Irish Republic. Yeah, this place is super cool. Best Way to Save: If you’re doing a bunch of sightseeing in Dublin, purchasing a Dublin Pass could help you save money. Unfortunately, The Long Room is currently not included on the pass. Online tickets range from about €14 for an adult to roughly €28 for a family pass. They also provide “skip the line” access, which can be super valuable when you’re sightseeing. Tickets at the door are slightly cheaper (about €11 adults and €22 family), but I’d order ahead of time to avoid the queues. All tickets also include entrance to the famous Book of Kells, so you get to knock off two birds with one stone! 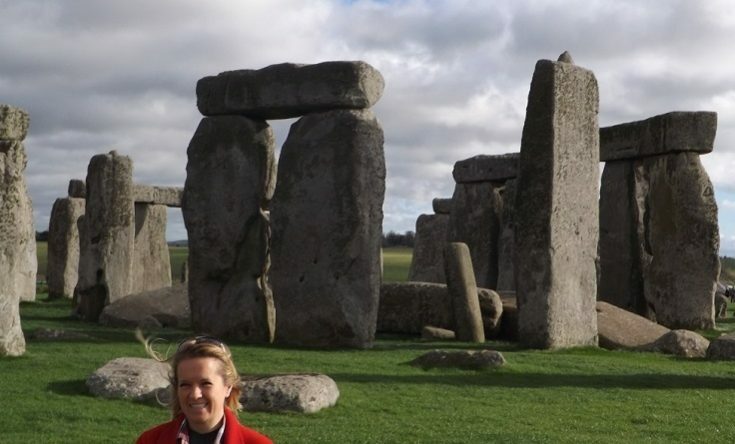 Stonehenge is a place you have to see at least once. Sure, you’re just looking at a bunch of rocks. But, it’s the story behind those rocks which is really incredible. Even though you’ve seen pictures of this place, you really don’t understand what it means until you’ve been there. These stones are absolutely massive! The biggest ones stand about 30 feet high and weigh around 25 tons. (That’s 50,000 pounds, in case you’re counting.) There are about 80 stones in all, although some suggest that there were originally close to 160. Most importantly, these stones didn’t just show up. Depending on the stone, estimates suggest that they were moved from 20 to 160 miles away. Then, whoever moved them lifted some of these stones over 30 feet into the air! The formation is so exact that, if you stand inside the circle, you’ll see the sun rise over the “Heel Stone” on the Summer Solstice. Oh yeah, and this all happened well before there was heavy machinery like trucks and backhoes. It was built circa 2,500 B.C.! Incredible. Best Way to Save: The cheapest way to get to Stonehenge would probably be to drive yourself. Because entry to the park is timed, you’ll need to pay for tickets ahead of your trip to ensure you can get in. (Tickets run about £17.00) We chose to book a tour which also included a journey to Bath. It costs a bit more, but you don’t have to worry about transportation (and you get to see the Roman Baths in Bath). Plus, your tour guide should explain the story of Stonehenge during your ride there, so you’ll have a better idea of why it’s so incredible. Get details on the tour we took here. Unfortunately, I don’t have a good photo of us here. So, here’s a stock photo by Nitot via Wikimedia Commons and Creative Commons. The Place de la Concorde is one of my favorite places in all of Paris. It’s located at one end of the Av. des Champs-Élysées, the famous street on which the Arc de Triomphe is located. While the Place de la Concorde is the largest public square in Paris, there really isn’t much to do or see here. You get great views of the Eiffel Tower, a couple of neat fountains, and there’s a really cool giant obelisk located here. What I found fascinating, though was that this was the place where the guillotine was set up during the French Revolution. Many famous French aristocrats met their ultimate end in this square, including King Louis XVI, Marie Antoinette, Princess Elisabeth, and Maximilien Robespierre. Pretty gruesome stuff to sit and ponder. How to Save: Visiting the Place de la Concorde is absolutely free! Buy a good guidebook, and learn all about it while you visit. 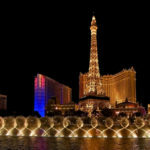 If you’re planning to visit other attractions, you might want to check out the Paris Pass for discount tickets and “Fast Track Entry.” Want to get some exercise? 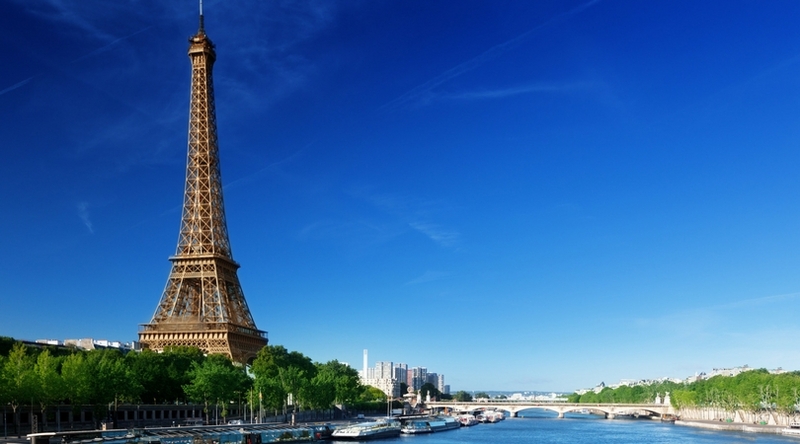 The Place de la Concorde is within walking distance of some other famous Parisian attractions. We walked all the way to the Arc de Triomphe, but beware – it’s further than it looks! Want to walk in the footsteps of some of the most famous kings and queens in British history? 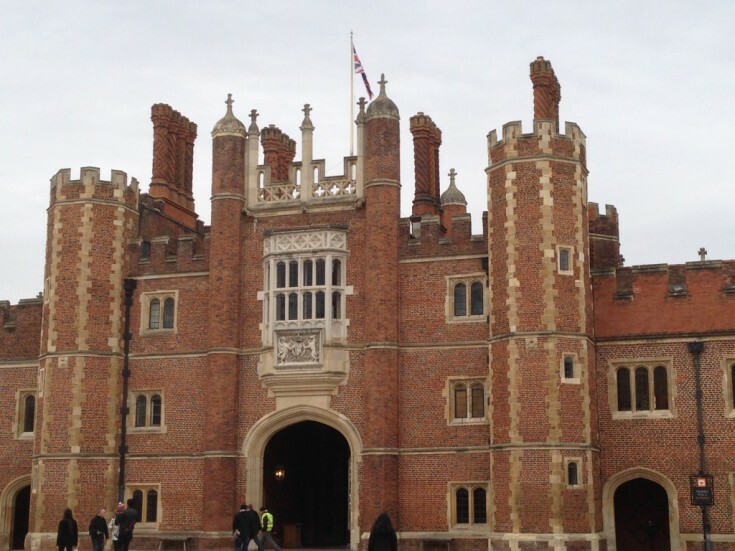 You can at Hampton Court Palace, which is easily one of the best places to visit in Europe. This enormous building is really built in two styles. It was originally owned by Cardinal Thomas Wolsey and eventually seized from him by King Henry VIII after Wolsey’s fall from grace. William and Mary restored and added on to the palace over 150 years later. The Tudor Kitchens, the Great Hall, and the sprawling gardens are a magnificent sight to see. However, sitting in the royal pew inside the breathtaking Chapel Royal was one of the coolest moments in my life. Characters dressed as Henry VIII and his queens silently roam the halls, transporting you back in time almost 500 years ago. How to Save: Tickets for the palace cost around £20 pounds, but you’ll also need to take a train ride out there that lasts about 30-45 minutes. Again, I’d recommend the London Pass with the Oyster Card option. Both your entry fee and train fare are included. While visiting Florence, Italy, heading to this church was actually an afterthought. While in the neighborhood looking for something else, we decided to go in on a whim. I’m so glad we did! The basilica is filled with incredible art and architecture, but that isn’t even my favorite part. Inside, you’ll find the burial sites of several of Florence’s most famous people. Michelangelo, Machiavelli, and Galileo are just a few well-known Florentines who are laid to rest here. The Italian composer Rossini’s is also buried at the church. Of course, their tombs are decorated with incredibly beautiful artwork. Just make your way along the perimeter of the walls and you’ll find them all. 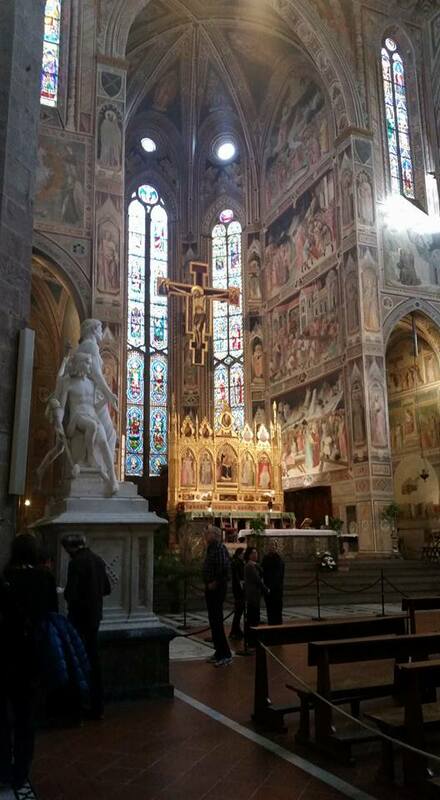 How to Save: Admission to the Basilica of Santa Croce is only about €8.00, so it is pretty cheap to get inside. If you’re staying in Florence, I’d recommend the Hotel Globus where rooms start at around $90 USD. Although it is a long hike to the Basilica of Santa Croce, it is within walking distance to several other Florentine attractions like the Florence Duomo, Academia Gallery, Piazza della Signoria, and the Santa Maria Novella train station. 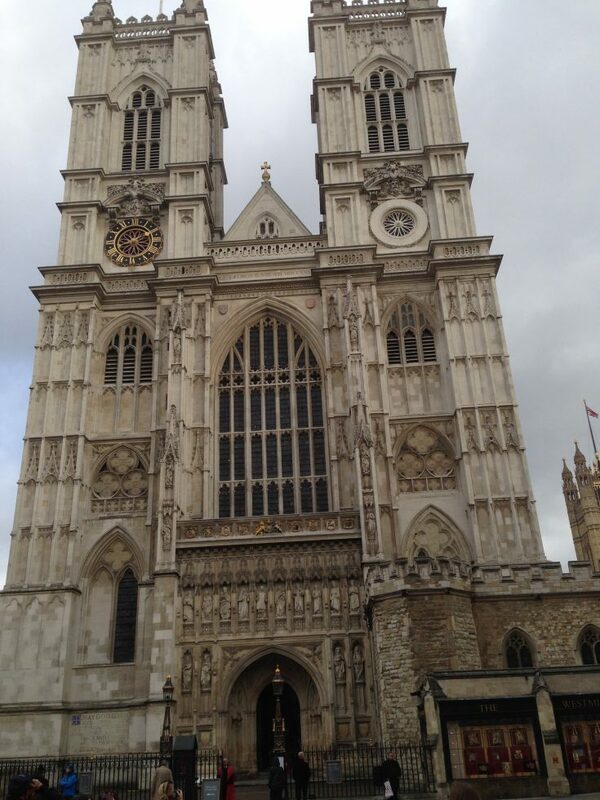 Speaking of awesome churches, I can’t leave out one of the most famous of them all – Westminster Abbey. This huge (mostly) gothic abbey is one London’s most recognizable landmarks, and one of the best places to visit in Europe. Construction on the original part of the church began around 1042, but it wasn’t until 1245 that construction began on the building we recognize now. Westminster Abbey has been home to royal weddings, funerals, and acts as a cemetery for some of the most famous people in all of English/British history. Above all, every English and British monarch has been crowned inside the Abbey since the year 1066! Depending on your age, your first memory of Westminster Abbey (and the giant pipe organ) is probably either from Princess Diana’s wedding or funeral. More recently, Prince William and Princess Catherine were married here. My favorite part of walking through the Abbey was visiting the tombs of the famous kings and queens of old. Most of the monarchs prior to about 1760 were buried in the abbey. In a bit of irony, sisters and rivals Queen Elizabeth I and Queen Mary I now share a room for all eternity. You’ll find tombs and memorials to many other great English/British artists, writers, and statesmen located throughout the church. Before you leave, be sure to check out the “Coronation Chair and Stone of Scone” used in every coronation ceremony since 1308. How to Save: While 2FOR1 tickets in London are the cheapest way to see sights in London, I prefer to use the London Pass. With the London Pass, you get “Fast Track Entry” at several locations where lines are long, which is not available with the 2FOR1s. Plus, you still get a discounted ticket rate. 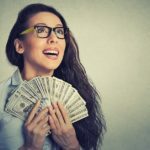 To me, saving time is much more valuable than saving just a couple of extra bucks. The view from the top of the Torre Grossa. This just doesn’t do it justice. There’s a reason that many people thing San Gimignano is a bit touristy. It is…and for good reason. Walking into San Gimignano is like walking into the Italian Middle Ages. As a means of protection, wealthy families built their homes as giant towers, vaulting into the Tuscan sky. When invaders approached, they’d pull their access ladders, bolt the doors, and hide safely in their towers. Of the original 72 towers built here, 14 of them still survive. The Torre Grossa is the tallest tower in San Gimignano, reaching a height of about 200 feet. You can access the tower through the Civic Museum, located right next to the Piazza del Duomo. Climbing the 218 stairs is a workout, but it provides one of the most beautiful views I’ve ever seen. We brought our camera and got some great pictures, but they pale in comparison to actually experiencing the incredible rolling hills of Tuscany in person. 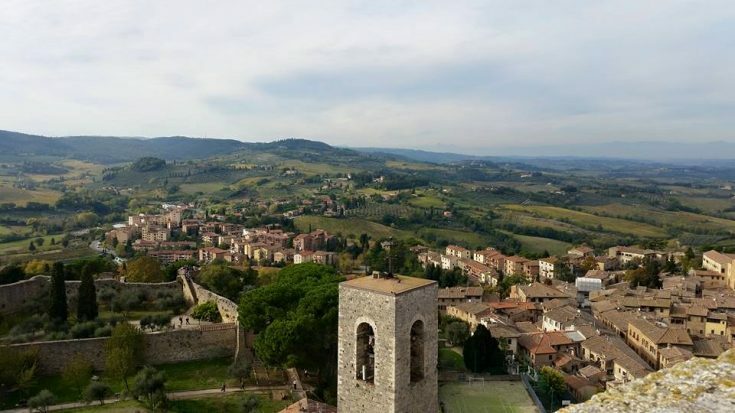 How to Save: There’s not a ton of stuff to do in San Gimignano, so I’d suggest working this place into other stops on your itinerary. We actually booked a day trip which included stops in San Gimignano, Sienna, and Pisa. Tickets for the museum and tower are all covered under one low price of about €6.00. There you have it, my list of the best places to visit in Europe! I hope you’ve enjoyed the piece, the photos, and picked up some money-saving tips for your next trip to Europe. As I mentioned earlier, I plan to update this list as I travel even more extensively throughout the area. You don’t like the Forum? Man, I thought it was absolutely incredible. I could spend hours there. Same here…Colosseum impressed me way more than the Forum….Forum is really old and not conserved..you can barely picture it anymore…still the history it has is unthinkable. That said, I actually enjoyed my second trip through the Colosseum even more than the first. It’s a great spot, and I’ll keep going back to both of the over and over. I just love Rome! Thanks for reading Richard!!! Amazing list, Greg! I had the most amazing Southern Italy experience a few years ago. 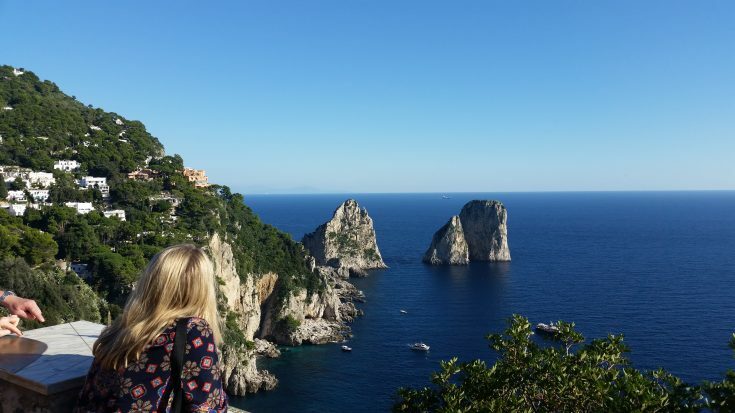 By visiting in March (slightly offseason), I was able to enjoy the Amalfi coast, Capri, Pompeii, and Rome for much cheaper without all the crowds. I loved seeing both the Gardens of Augustus in Capri and the Roman Forum. We went to Italy in the off-season as well (Mid-November). The weather was great, the crowds were smaller (except at the Vatican Museums and Colosseum), and it was so much fun. Loved it! Nice list and they’re all exceptionally beautiful places. The Tower Of London is a really cool place, particularly with the Crown Jewels – the history, combined with how beautiful they are, was a lifetime highlight to visit for me and my wife. The door on the vault is insane and makes you think: that’d be a really good Ocean’s Eleven movie. When you next visit the UK you should definitely check out Lincoln. It has one of the biggest cathedrals in the world, it’s right next to a castle which is good to look around too. They’re both on a tall hill which overlooks all of Lincoln and the surrounding countryside. The other place I’d suggest is visiting York, its ‘old town’ feeling is one of the closest you’ll get to a real life Harry Potter Diagon Alley. You’d love it for the Tudor-ness too. Roman & Viking monuments are all around the city. Plus it’s the namesake for one of the most iconic cities in the world (New York). Trust me, you’ll love York. Stay there for a few days to get the full feel of it. Australia and New Zealand have both been on my list for years, but I haven’t made it there yet. 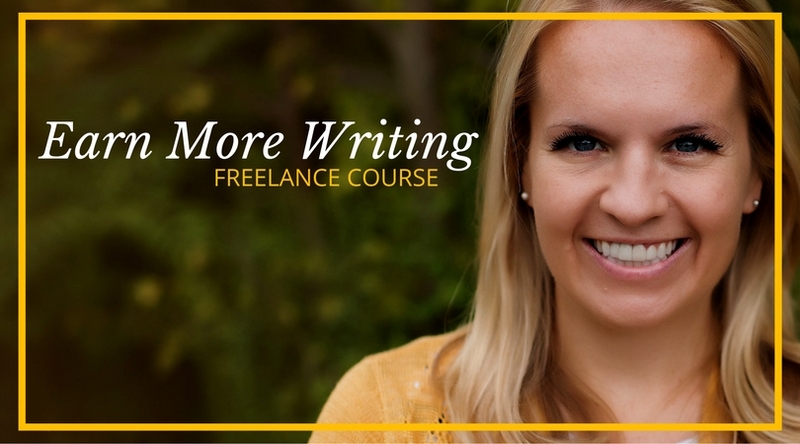 Now that we’ve got more flexibility in our schedule since we work at home, I’m sure we’ll make it someday. It’s a looooong way for us though…like 18 to 24 hours. Unfortunately we have nothing to add to this post because I have never been overseas! BUT we already have the airlines miles banked and have a plan to go in the next two years (when the youngest is off to college!) So I am bookmarking posts so when we get our plans together, we’ll be able to use everything you’ve shared. Thanks Greg! Nice list Greg! Being a history geek, I love traveling to Europe as there is just so much to see and so much of it is beautiful. We saw most of the UK places on our honeymoon and really enjoyed them. That said, Italy is definitely on our list as neither one of us has been there. You have to do Italy! I loved the UK, but Italy was simply incredible. Everywhere you turn, it’s absolutely beautiful. Such a cool list Greg! I am hopefully going to be visiting Europe next summer so will have to come back to this list before then. Thank you! You will…and you really can’t go wrong no matter where you choose to go! Such a good list. We found a lot of great, affordable places on the eastern side of Europe, too. Budapest, Bratislava, & Krakow are our favorites. I hear Eastern Europe is cheap and lovely! I’ve watched all kinds of travel docs about it, but haven’t been there myself yet. Well you’ve given me the travel bug. It’s always nice to get insider info like this from travelers who have experienced it. Thank you for putting together not only a great list of places to visit, but how to do it frugally. 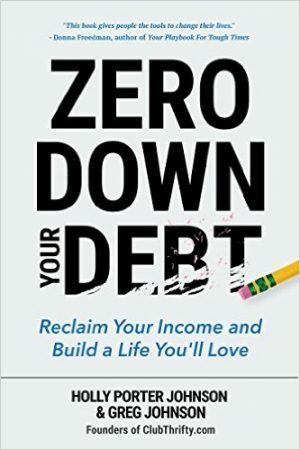 I also think traveling frugally can be difficult (why not spend where you want… it’s vacation?!) However, that doesn’t have to be the case. Travel is rarely completely free, but you can definitely find ways to save. Rome is definetely an awesome place. If I could only go to Europe once, that would be my recommendation. I spent a college semester in southern Spain which was awesome as well, but not quite the same. Yeah, Rome is definitely my favorite place. I love it there! I could go back again and again. If you haven’t been to Prague, you absolutely must put it on your list. It’s so full of history and beautiful, beautiful architecture. And when I was there a few years ago, it was stunningly cheap! I remember treating myself to a fancy 5 course meal for only 16 euro! Definitely a frugal and fun trip to be had there. I visited the Blue Grotto instead of the Gardens of Augustus! I guess I’ll have to go back to Italy. Maybe for my honeymoon next summer! Absolutely! In my opinion, it’s always a great choice to go back to Italy. Congrats on your upcoming wedding! Nice list Greg. Some places I’ve never been before. I’ll have to add them to my bucket list. We’re headed to Portugal this summer to ride the trams in Lisbon. Have you ever been? Thanks Owen! We have not been to Lisbon yet, but it is definitely on the list. We’re planning a trip to Madrid and Barcelona this fall. I think we’ll hit Portugal and Western Spain sometime in the next few years though. Have a great trip!!! Let us know how it was when you get back. I’m glad that I read through the comments as La Sagrada Familia will definitely be on your list after your visit to Barcelona. I was left speechless. My husband and I are going to Rome in April. Very, very excited! Prague should definitely be on the list as some others have mentioned. The castle is pretty cool. Be sure to get a ticket for the Golden Lane if you go to the castle. Lisbon is cool too. We got a hop-on-hop-off ticket for the full day that we were there. These will drop you off pretty close to just about any major site you’d want to visit. I’m hoping to hit Rome at some point next year. I absolutely love Rome. It’s my favorite city, although my wife prefers Florence. We haven’t visited Prague yet, but hope to make it there in the next 24 months or so. Next summer, it looks like we’ll be getting to Croatia for a bit, so we’ll see how that measures up. Oh, and next time I update this list, I’ll probably have to add Pompeii. That place is amazing!